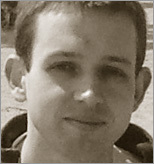 Dan Zambonini is the Technical Director of Box UK, a UK-based Internet Development and Consultancy company. An advocate of Semantic Web and XML technologies, he works with XML, XSL, RDF, SVG, P3P, OWL, XHTML, CSS, XForms, and a whole bunch of other acronyms. When he hasn't got his head in some code, he's thinking about digital audio, digital video, web philosophy, social technologies, metadata, travel, politics, language, history and how they all relate to the web. He could probably do with a holiday.